The Forensic Examination and Interpretation of Tool Marks brings together key techniques and developments in the field of tool marks in forensic science and explains clearly how tool mark analysis can be used within forensic investigation. The purpose of this book is to bring together as much of this information as possible in an accessible manner. The book deals with all aspects of tool mark evidence from crime scene to courtroom. The examination of a wide variety of different tool marks are discussed, including those made by specific tools such as saws and in complex materials such as bone. The general principles and techniques used in tool mark examinations can also be applied to some other closely related fields. Therefore, sections on the examination of manufacturing marks, including those on plastic film items, and physical fit comparisons are also included. The book will be of interest to a wide range of people and not just to tool mark examiners and people studying forensic science. It will be of use to crime scene examiners, officers investigating crimes where tool marks are found and members of the legal professions. Brings together key techniques and developments within the field of tool mark investigation. Includes material on examining tool marks at the crime scene and in the laboratory, interpretation and evaluation issues and how tool mark evidence should be presented in court. Covers specialized tool mark examinations, manufacturing marks, including those on plastic film items, and physical fits. Includes a large range of illustrations and photographs. 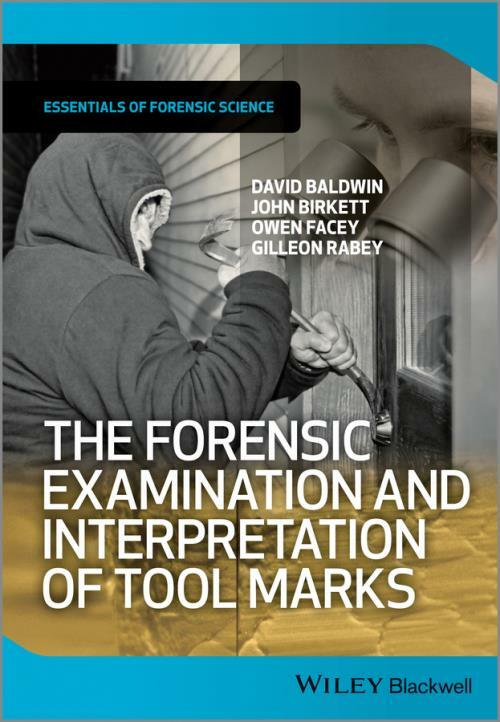 Invaluable reference for practicing forensic scientists, students of forensic sciences, members of the legal professions and crime scene investigators, enabling them to recognise the importance of tool marks within an investigation. An extremely valuable resource in the on–going debate regarding the evidential value of tool marks in court. Part of the Essentials in Forensic Science book series.